The Presidency has concluded the process for the sale of two presidential aircraft, a Falcon 7x executive jet and Hawker 4000, The Punch has learnt. 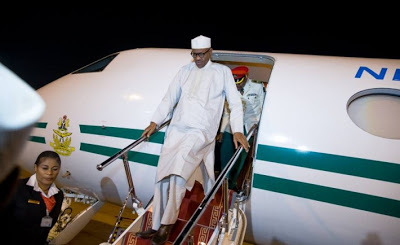 In a statement on October 4, the Presidency had confirmed that President Muhammadu Buhari had authorised the sale of the two jets. Advertisements were then placed in newspapers for interested buyers to bid for the aircraft. A top Presidency source told a Punch correspondent on the condition of anonymity on Monday that the process of selling the aircraft which was handled by the Office of the National Security Adviser had been concluded. He said, “The bids were opened in the presence of all interested parties about two weeks ago. When asked about the identities of the preferred bidders and the amount the Federal Government would realise from the sales, the source said the details would soon be made public. He, however, said the details would only be disclosed after the report of the sales might have been presented to the President for approval. “The report will be made available to the President first. Once he approves it, it will be made public in accordance with the present administration’s policy,” he said. The Senior Special Assistant to the President on Media and Publicity, Garba Shehu, had in the October 4 statement said the decision to sell the jets was in line with the directive of the President that aircraft in the Presidential Air Fleet be reduced to cut down on waste. Two aircraft in the fleet had also been handed over to the Nigerian Air Force for its operations. Shehu had said, “When he campaigned to be President, the then All Progressives Congress candidate, Muhammadu Buhari, if you recall, promised to look at the Presidential Air Fleet with a view to cutting down on waste. “His directive to a government committee on this assignment is that he liked to see a compact and reliable aircraft for the safe airlift of the President, the Vice-President and other government officials that go on special missions. “This exercise is by no means complete. According to the Presidency, the PAF had 10 aircraft at the inception of this administration. These are: Boeing Business Jet (Boeing 737-800 or Air Force One), one Gulfstream 550, one Gulfstream V (Gulfstream 500), two Falcons 7X, one Hawker Sidley 4000, two Agusta Westland AW 139 helicopters and two AgustaWestland AW 101 helicopters. Each of the two Falcon 7X jets were purchased in 2010 by the Federal Government for $51.1m, while the Gulfstream 550 costs $53.3m, a former Minister of Information, the late Prof. Dora Akunyili, had said. With the planned sale of two and the handing over of two others to NAF, the fleet now has six aircraft.